I have only published this part of the text as it’s the part that’s most interesting and original. The rest (although available above as a pdf) is mostly stodgy stuff excessively saturated with statistics and seems to add almost nothing new to what TPTG and others have said elsewhere (other than the precise detailed minutae of how screwed the Greek proletariat has become). More concretely now, while the vast majority of the left and anti-authoritarian analyses regarding the state management of immigration focuses on physical or geographical exclusion (mainly through an excessive use of the term “borders”), we are more inclined to look into the differentiated capitalist strategies adopted for the inclusion, control, regulation and exploitation of those migratory populations who are superfluous in the countries of origin to suit the needs of capital accumulation in the countries of their destination.1 Therefore, within the EU hierarchical structure of divergent capitalist policies, the varied management of the recent migration influx reflected different and even conflicting aims of the separate nation-states. 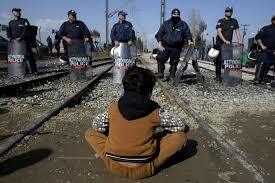 After forcefully evacuating Idomeni in May 2016 (the largest informal refugee camp on the Macedonian border which, at its peak, when Macedonia shut its border in March 2016, housed more than 14,000 refugees) and transferring them to “official” camps, the Greek state went on with the evacuation of the makeshift camp in the port of Piraeus and plans to do the same with the predominantly Afghan refugee population of the “temporary” settlement at the dilapidated former airport in Elliniko. In these violent actions as well as in others, even before the signing of the agreement with Turkey, it met with refugees’, as well as solidarity groups’, resistance. After having institutionalized its cooperation with dozens of NGOs and even given them increased responsibilities in managing the refugee influx in various aspects,16 the Greek state’s strategy regarding non-institutionalized solidarity activities followed a flexible pattern depending on differentiated criteria. On the islands, because of the forthcoming agreement between EU and Turkey and given their proximity to the borders, it didn’t tolerate any non-institutionalized activity, even if this came from small NGOs. 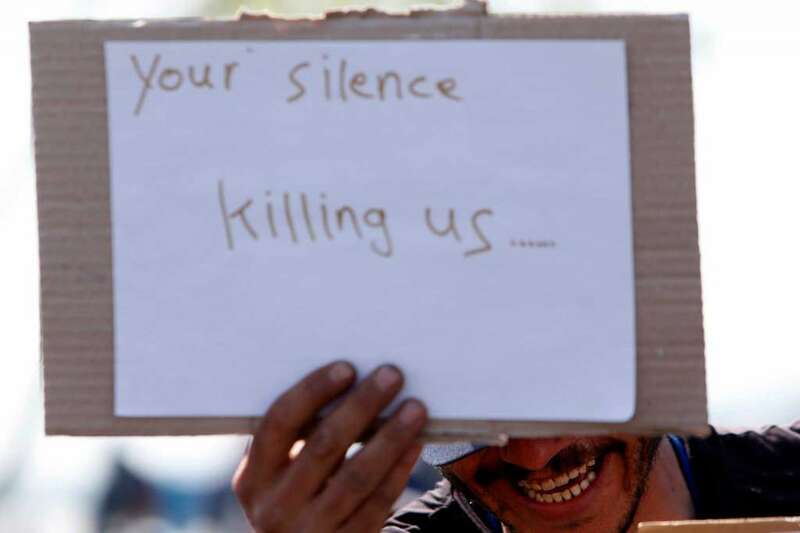 Thus in mid-January 2016, certain solidarity structures (including NGOs, like rescue teams, which, until then were in cooperation with the coastguard) were excluded from official refugee agglomeration sites and in some cases their members got criminalized. Then, in February, the Greek government asked for the registration of all rescuing volunteers and the others active in and around Moria Hot Spot. It also demanded from the NGOs active in the respective areas to hand over lists of members and volunteers working for their organizations and register with detailed information on their own structures and funding.17 Repression was again the path that the government followed in Thessaloniki when in July 2016, satisfying the demands of the church, the university and the council authorities, it evacuated three anti-authoritarian squats which housed refugees or, in some cases, did the same with NGOs.18 However, there is a different attitude towards some big squats in Athens, as they both facilitate the state in managing the “refugee crisis” and at the same time are run by people either close to Syriza or who used to be close to it before its “betrayal” but have never cut their ties with the Syriza party, with whom the government would wish to restore relations. 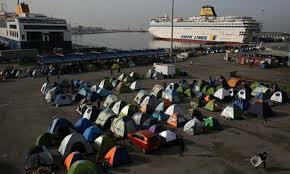 Vacillating between humanism and repression, charity and confinement, the Greek government handled the “refugee crisis” as an exemplary part of the more general “humanitarian crisis” in Greece. The management of the remaining surplus immigrant labour power trapped within Greek borders should be considered within this very general context of the continuation and deepening of the devalorisation politics in both material and ideological terms: refugees are to remain idle labour power, to survive on meagre resources provided by the state and “civil society” (as long as it cooperates and takes its place within the state plans on immigration).19 Above all, they are to be used as a model for deploying the dominant state strategy, “glorification of charity and humanitarianism”, which is applied on the working-class in general. Immigrant and local proletarians are expected to accept their fate, lower their expectations and depend on “social / non-commodified” charity-like measures which are meant to alleviate the depreciation of labour power (unpaid or underpaid work, widespread unemployment / working in the black, etc.) that tends to become a permanent condition. The aim of this cheap but “humane” strategy of the left government is to preserve the profitability of Greek and European capital and at the same time maintain the local and immigrant/refugee working class in a state of availability for exploitation without the risk of rusting and becoming utterly useless. If we look at the state anti-racist campaign of solidarity to “refugees” in 2015 from this angle, then we will understand that the overstressing of charity is revealing of capital’s strategy to establish the idea that during “crisis time” not much more than crumbs is to be expected. 10 On January 27th 2016, the European Commission accused Greece of neglecting its obligations under the Schengen agreement to carry out external border controls, saying that a visit by EU inspectors in November 2015 found that Greece was failing to identify and register arrivals properly, to fingerprint everyone, and to check travel documents for authenticity and against security databases. 12 On March 20th 2016, there came into effect the agreement between the EU and Turkey to restore control on migrant movements. As the deal outlined, migrants arriving in Greece would be sent back to Turkey if they did not apply for asylum or their claim was rejected. 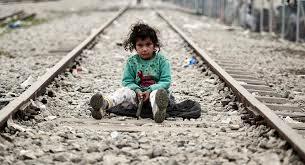 Any Syrian who was returned to Turkey would be replaced by a Syrian resettled from Turkey to the EU, preferably the individuals who did not try to enter the EU illegally in the past and not exceeding a maximum of 72,000 people. Turkish nationals would have access to the Schengen passport-free zone by June 2016 but this would not include non-Schengen countries such as Britain. The talks aiming at Turkey’s accession to the EU as a member would start in July 2016 and a promised $3.3 billion aid would speedily be delivered to Turkey. Under the deal the EU would send around 2,300 experts, including security and migration officials and translators to Greece who would help implement the deal. 13 According to the official data, while asylum seekers in Germany in 2015 reached 890,000, in 2016 their number fell to 280,000. 14 By the end of October 2016 about 700 persons had been forcibly returned to Turkey. At the same time, the EU Commission blames the Greek state for inefficiency, since this number accounts for “only” 4% of the total and none was ordered back after being recognized as a refugee. 16 On the islands and especially on Lesvos there were more than 200 NGOs operating on the spot, ranging from small “citizens’ initiatives” to huge professional organizations! The role of NGOs in general in managing immigrants’ needs (reception, accommodation, catering and transportation) was promoted by the state both for the privatization of some of its functions and for the de-politicization of the causes of immigration. At the same time, NGOs get their core funding from the UN. 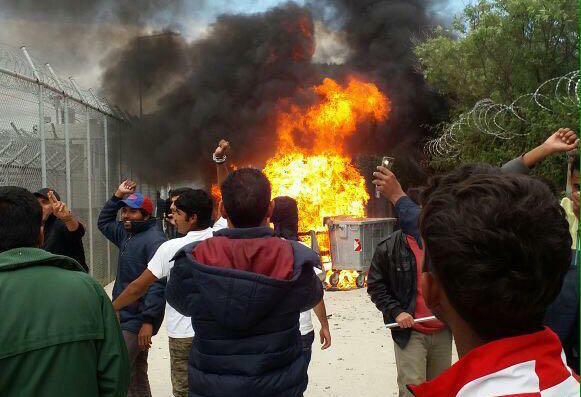 18 In September 2016, after a three-day protest of refugees at Katsikas camp near Ioannina demanding to be transferred to a sheltered place, the police detained members of NGOs and volunteers for some time “recommending” them not to instigate refugees to revolt. 19 There are about 45 provisory mass refugee “official” camps all over mainland Greece, most of which are tent camps, difficult to reach from cities/urban centres and often ruled by the army. streamline the asylum process for those who are likely to be granted protection. expanding the list of safe countries of origin” . travel documents for authenticity and against security databases. officials and translators to Greece who would help implement the deal. 890,000, in 2016 their number fell to 280,000. G r e e k s t a t e f o r inefficiency, since this number accounts for “only” 4% of the total and none was ordered back after being recognized as a refugee. immigration management are under way. Greek mainland when there is a lack of food even for those detained, what solidarity groups denied”! and often ruled by the army.